Obituary for Merrill R. Francis | Devlin-Rosmos-Kepp F.H. 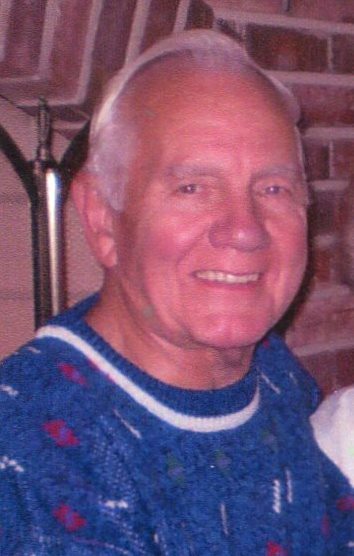 & C. S.
Merrill R. Francis, 91, husband of Mary Therese (King) Francis, of Phoenixville, PA, died on Monday, December 3, 2018. Born on September 8, 1927 he was the son of the late Wilmer C. and Myrtle (Fitzcharles) Francis. He was in United States Army Air Force. He worked for West Company for 41 years as a Formulation Co-ordinator and he was instrumental in establishing West Company Credit Union. He was a member of St. Basil the Great Catholic Church where he served as an usher. He was a Fourth Degree member of Knights of Columbus at St. Basil the Great Church, Phoenixville Chapter AARP where he served as President, Phoenixville Hospital Senior Circle, and Philadelphia branch of Notre Dame Fan Club. James husband of Donna Francis. Michelle, Kimberly, Jacob, Lisa, and William. Preceded in death by brother, Wilmer Francis. Relatives and friends are invited to attend his Funeral Mass in St. Basil the Great Catholic Church, 2340 Kimberton Road, Phoenixville, PA, on Friday, December 7, 2018 at 11:00 am with Rev. Gary Pacitti officiating. Burial will follow from St. Mary's Black Rock Cemetery. A viewing will be held in Devlin Rosmos Kepp & Gatcha Funeral Home, 517 S. Main Street, Phoenixville, PA on Thursday, December 6, 2018 from 6:00 to 7:30 pm and in church on Friday morning from 10:15 to 10:45 am. Contributions may be sent to St. Basil Catholic Church, 2330 Kimberton Road, Kimberton, PA 19442 or St. Mary Franciscan Shelter, 209 Emmett Street, Phoenixville, PA 19460.